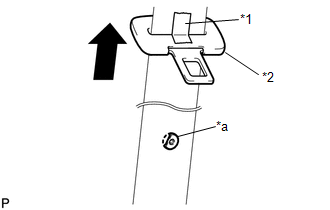 (a) Slide the tongue plate above the installation position of the tongue plate stopper, and temporarily hold it with adhesive tape. 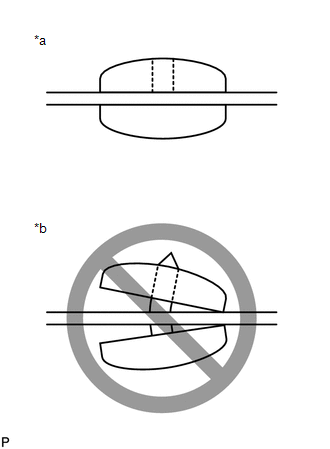 (b) Remove any pieces of the original tongue plate stopper in the belt webbing with a pair of pliers. Be careful not to damage the belt webbing during repair. (a) Position a new tongue plate stopper in the hole of the belt webbing. 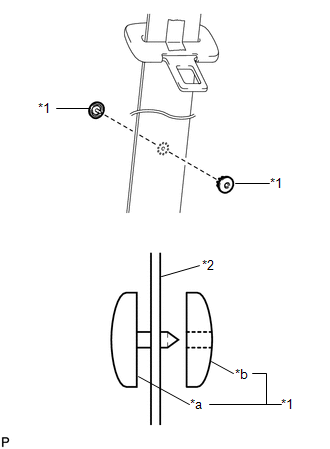 Make sure that the installation direction of the tongue plate stopper is as shown in the illustration. 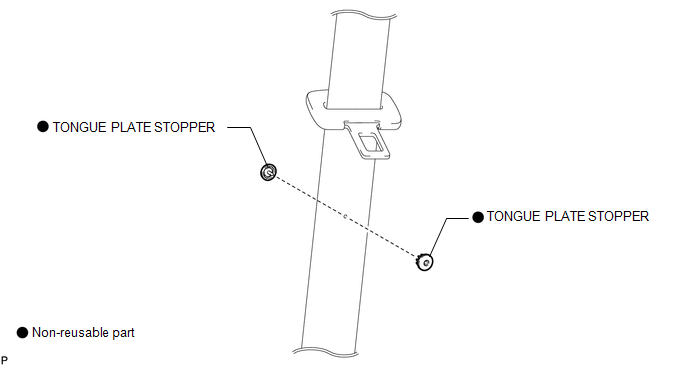 (b) Hold the tongue plate stopper in the hole of the belt webbing using an adjustable wrench, and turn the adjustment screw of the adjustable wrench by hand to compress the tongue plate stopper. 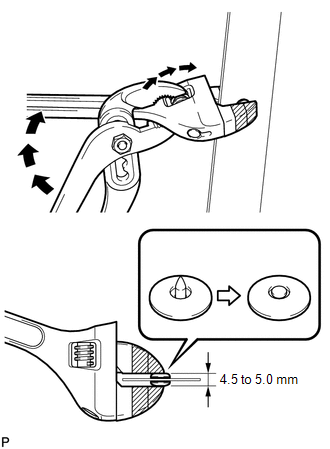 When using the adjustable wrench, make sure to position the male and female parts of the tongue plate stopper parallel to each other. Do not use pliers to compress the pin of the tongue plate stopper. They may damage the tongue plate stopper and belt webbing. 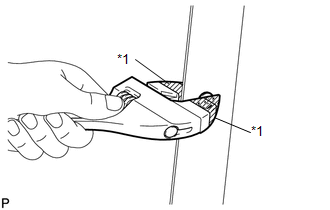 Tape the jaws of the adjustable wrench before use.